The six pitchers who have started a game this season for the San Francisco Giants have combined for three Cy Young Awards and 10 All-Star Game selections in their respective careers. When looking at the names in the rotation, it makes sense why. Tim Lincecum and Matt Cain are two of the best young pitchers in Major League Baseball. Barry Zito used to excel across the bay with the Oakland Athletics before he signed with San Francisco. Neither Madison Bumgarner nor Jonathan Sanchez has a Cy Young Award or been selected to an All-Star Game, but Bumgarner, a 22-year old lefthander pitching in his first full big league season, is following in Lincecum and Cain’s footsteps while Sanchez certainly has All-Star ability, but has never been able to pitch with consistency in his career. That is why it is so surprising that a 34-year old journeyman who last pitched in the majors with the Pittsburgh Pirates in 2006 has been the Giants’ best starter this season. In 120 career major league games (33 starts) before this season, Ryan Vogelsong’s career record was 10-22 with a 5.86 ERA. He had allowed 347 hits while walking 154 batters and striking out 216 in 315 innings (1.590 WHIP). This season, after pitching 2007 through 2009 in Japan and spending 2010 in the minors, he has pitched in 20 games, 18 of them starts, to go along with a 9-1 record, 2.19 ERA (best in the National League among qualifying pitchers), 1.243 WHIP, 103 hits allowed, 40 walks, 86 strikeouts and one shutout in 115 innings, earning his first trip to the All-Star Game in the process. 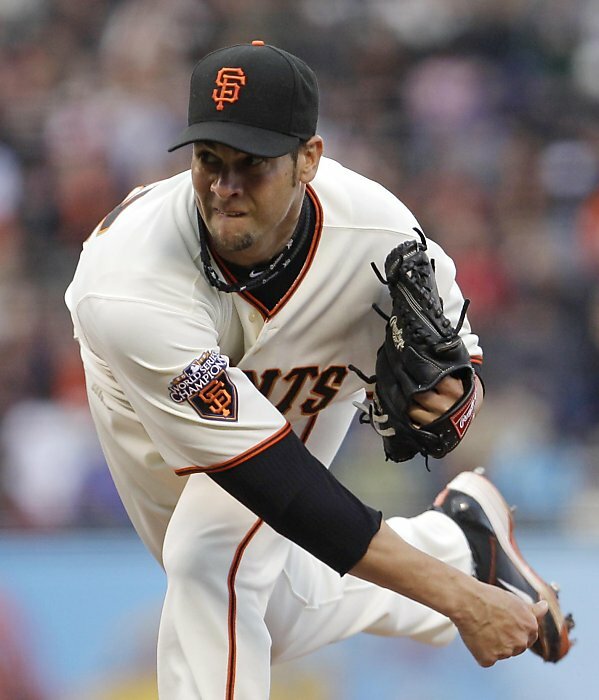 Vogelsong has been a revelation in San Francisco’s rotation and has kept getting better as the season has gone along. Vogelsong has allowed more than three earned runs in a game just once this season, a May 3 start in New York against the Mets in which he allowed five runs on five hits while walking four in four innings. That was just his second start and fourth appearance of the year. Since that game, he has made 16 appearances, all of them starts, with a 1.88 ERA and 73 strikeouts while walking 34 and allowing 91 hits in 100.2 innings. Opponents are posting just a .242/.309/.338 batting line against him and he has gone fewer than six innings in a start just three times during that time. Some of Vogelsong’s success may be due to luck. He is striking out only 6.73 batters per nine innings and opponents’ batting average on balls in play is .274, below the league average of around .300. However, after four straight years of not pitching in the majors, Vogelsong has also seemed to learn how to become a better pitcher. He is throwing his fastball less (58.1 percent in 2011 compared to his career total of 68 percent) while eliminating his slider from his repertoire and instead throwing a cutter (12.3 percent in 2011 compared to 5.8 percent over his career), curveball (19.3 percent this year compared to a career average of 14.2 percent) and changeup (10.3 percent this season compared to 8.6 percent over his career) more. By relying less on his fastball and more on his secondary pitches, Vogelsong is inducing more groundouts than ever in his career, getting hitters to hit the ball on the ground 1.34 times for every flyball hit, well above his career average of 1.05. He is also showing more control on the mound than he had in his first stint in the big leagues. 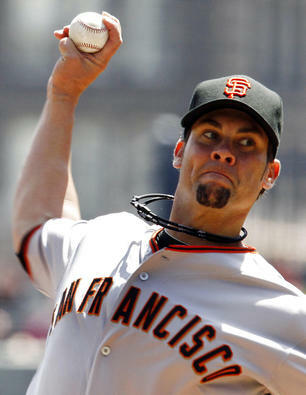 In his first seven major league seasons with the Giants and Pirates from 2000 through 2006, Vogelsong struck out 6.2 hitters per nine innings and walked 4.4 per nine (1.40 K/BB ratio). His strikeout rate this year, 6.7 batters per nine, is relatively similar to his career average, but Vogelsong is walking hitters at a much lower rate in 2011, 3.1 per nine (2.15 K/BB ratio). This has been crucial to helping keep extra runners off the bases and preventing runs. The San Francisco Giants’ rotation is filled with pitchers who have the ability to dominate just about anytime they trot out to the mound. However, it is a 34-year old journeyman, who last pitched in the major leagues in 2006, who has been the Giants’ best starting pitcher this season. Ryan Vogelsong has relied on his secondary pitches to gain more command of the plate and induce a greater amount of groundballs on the mound, leading the NL in ERA among qualifying pitchers. Even better for San Francisco, which holds a slim lead in the NL West over the Arizona Diamondbacks, Vogelsong has been improving as the season goes along. 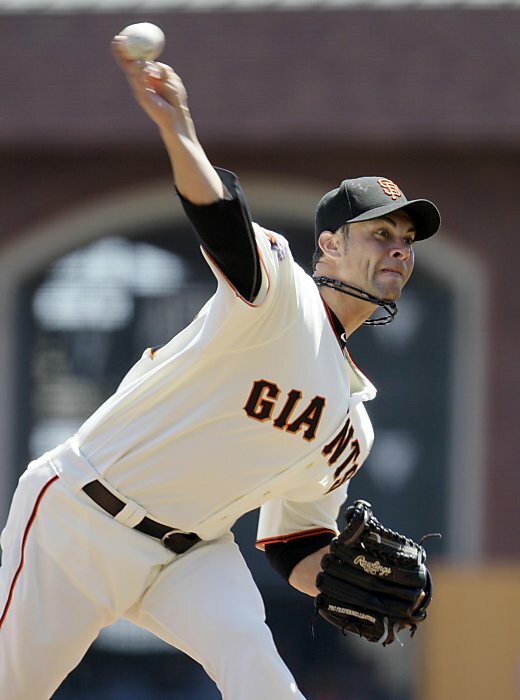 In a rotation filled with bright stars and promising young pitchers, it has been Ryan Vogelsong who has outperformed everybody for the San Francisco Giants in 2011. What Are The Mariners Thinking?